Chrash is a Quad Cities trio made up of Kim Murray and Paul Bloomquist from the Winter Blanket, and Chris Bernat from ’90s alternative rock band Tripmaster Monkey (who enjoyed a brief moment in the sun when they were signed to Sire Records). Chrash (pronounced “Crash”) had four releases from 2003 to 2011 on futureappletree, a label and studio run by Patrick Stolley of the Multiple Cat. For their fifth album, they join Stolley on Quad City tastemaker label Cartouche Records. 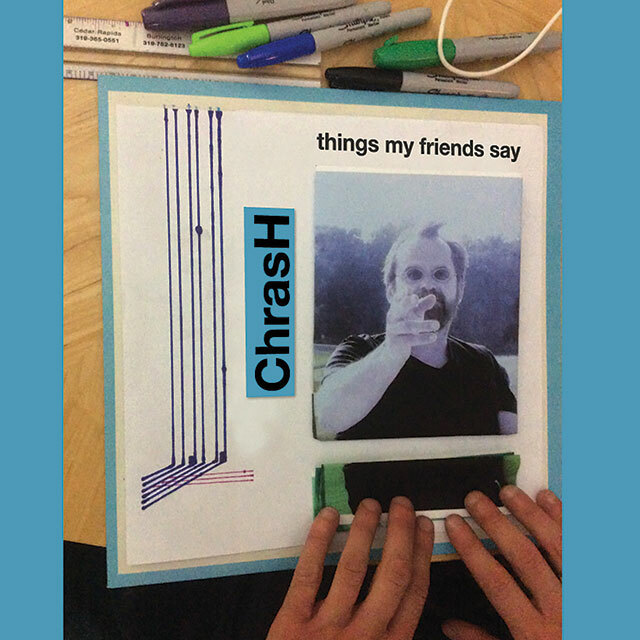 Things My Friends Say continues Chrash’s sublime, angular pop, and also incorporates the sound Bernat established with Tripmaster Monkey. The album is primarily a D.I.Y. affair, which is a change from their previous recordings. The lo-fi results give the album an off-the-cuff urgency that suits the songs. Chrash’s sound is a spare framework. Many of the songs have chugging and rolling percussion on drums, with guitars and bass in a lockstep march, progressing the rhythm and leaving ample room for Bernat’s vocals. Synthesizers and keyboards are used sparingly, and give the proceedings an early New Wave vibe shared with bands like Interpol and Spoon. It’s hard to tell if the quote from “I’ve Got You” by Split Enz at the end of “Local Scene” is a knowing wink or not, but those quirky Kiwi popsters could be a spirit animal for Chrash. Both bands exhibit the same combination of dry humor and great hooks. Things My Friends Say is an album that distinguishes itself in the landscape of new releases by the determinedly outsider approach to songs which, in the end, are damn catchy. These “Quad City Hits” are worth a regular rotation. 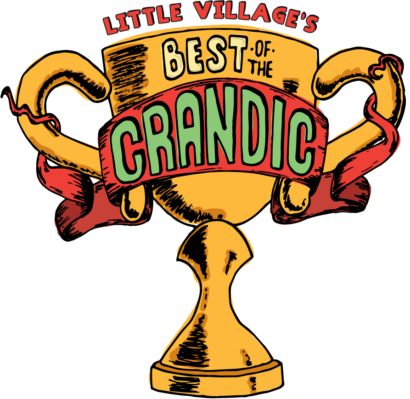 This article was originally published in Little Village issue 206.